Fixed price shop are making the most profit than that of variably priced shops. It is clear and quick for the customers to see how much they will be charged. It also encourages them into ordering more items. 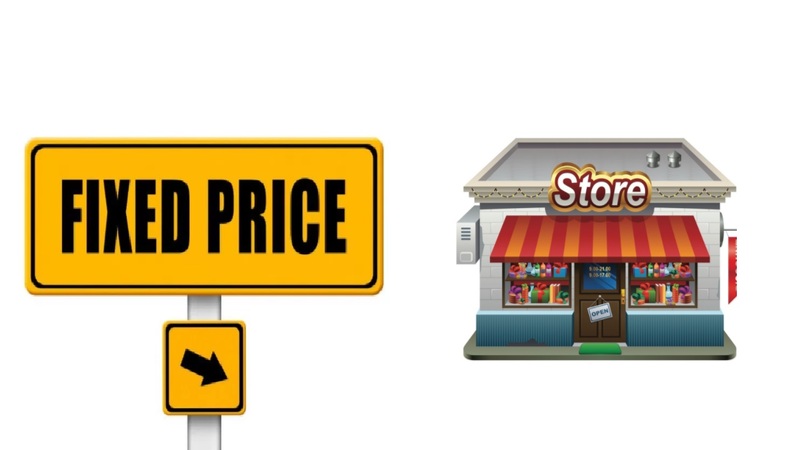 I will share with you some of the tactics for you to open up a fixed price shop. First of all, you will need to figure out what items you will want to sell. You need to plan out a business plan. You can have varieties of items in your shop or just one criterion. For example, you shop can sell women’s clothing, cosmetics, and jewelry items. Or just women’s clothing. It actually depends on your investment. You need to figure out how much you will be needing to start up your shop. Your shop’s types of equipment and other necessities. Might cost you a big amount. If I give a mean it would be something around Rs 500,000. Now that you have a little idea about your cost it is time to focus where to locate your shop. Just like I said above you need to first decide what sort of item you want to sell. Your location depends on that particular item/items. If I give you an example of women’s clothing shop, you can have a little shop of your own at a big shopping complex or could also open your at a place near your home with lots of traffic around. This way people will notice your shop and will give it a visit. Do not let your customers bargain. You can put up a signboard saying, “Fixed priced shop.” This will help your customers understand what message you are trying to give them. Don’t forget to put price tags on your items. There will be some stubborn customers who will try to bargain. Do not get manipulated by them. Remember, if you let one customer have what they want, you have to do the same for their relatives and for others and then for some others again. The chain will go on and on and on. So do not make this mistake. Do not get into the trap! When work starts to pile up you will need an extra hand for help. You will need to hire. Hire wisely. Do not go around hiring inexperienced people. You can keep the employees under three months probation period. Therefore, opening up a fixed price shop is not easy. You might want to train yourself before starting altogether. I should have mentioned this at first, but better late than never, right? You can train yourself by working under a big fixed price organization. You will get to know how they manage their customers and how to manage their shop. Read tons of articles related to this topic. Market your shop. You could do a grand opening ceremony inviting everyone in your opening. Open up Facebook, instagram, Twitter etc. You can also sell your products online. Opening up a page on Facebook or Instagram will help you connect with people all over the world. Fixed price shop is way good of earning money. The business is all about profit. Because you won’t face any losses in your way.